In Hadjin as in other Armenian populated areas, home-based trades were widely practiced from ancient times; some surviving until recent times. These trades were the primary way people made a living. 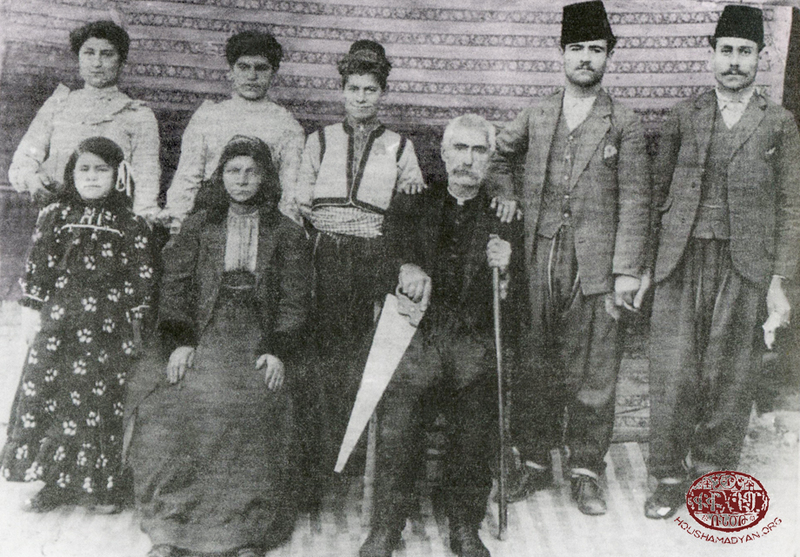 Hadjin had an Armenian population of some 20,000 and was known as an Armenian town. Local trades were mainly based on the traditions handed down by Armenian trades people. Naturally, the greater or lesser development of this or that trade was based on the natural resources of a town, the lifestyle of the of the people, and their customs. Some trades, in the passage of time, were more widely practiced, assisting production growth and the economic prosperity of the people. If trades and craftsmanship previously developed within the confines of the home, mostly to satisfy the needs of the family, some trades broke free of these confines starting in the mid-19th century, and developed in trade shops and stores, competing with so-called market trades. 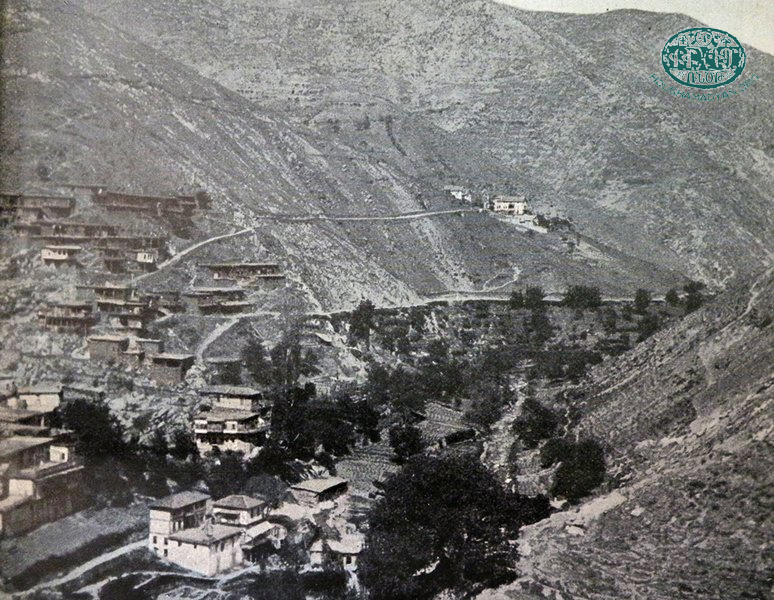 While true that trades in Hadjin had reached a certain level of development, nevertheless, taking a look at the entire picture, we can say that in comparison to other Armenian centers, trades in Hadjin didn’t shine as bright in terms of its opulence or variety. The development of this or that trade, to whatever degree, is directly related to local demand and consumer data. Thus, we can say while Hadjin was a center of craftsmanship, trades in general were a means of work or livelihood, and never a manifestation of life or lifestyle. To verify this, one need only count the number of traditional trades plied in the town – ceramics, weaving, felt making, sock making, woodworking, leather-makers, etc. In fact, until the mid-19th century, trades in Hadjin remained within the scope of satisfying the daily needs of the people. One of the main reasons for this was the out of the way location of Hadjin. It was far removed from major trade routes. It also suffered from a scarcity of raw materials and production resources. Thus, it had little potential for real development. 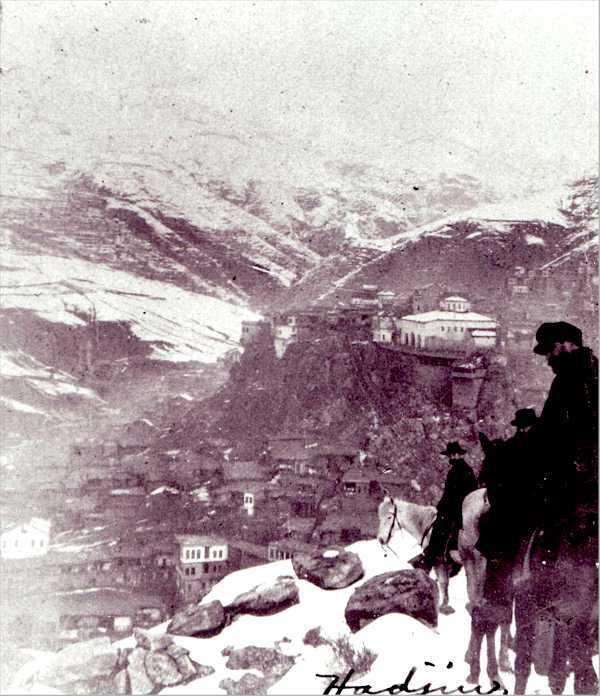 Starting in the 1870s and 1880s, certain developments, especially in the trade and industrial sectors, were observed in Hadjin as in the rest of the territory. A number of production enterprises were founded and traditional trades were given a boost – leather-making and woodworking, handicrafts and weaving. Here, I will present those trade stores that employed the most people and had the most impact on Hadjin’s economy. One of the oldest and most developed of all the trades in Hadjin was tanning (leather-making). An abundance of raw material, coupled with local demand, spurred the development of this trade, but the ancient Armenian tradition of leather-making was a larger factor. It ensured a product of higher quality and profitability. 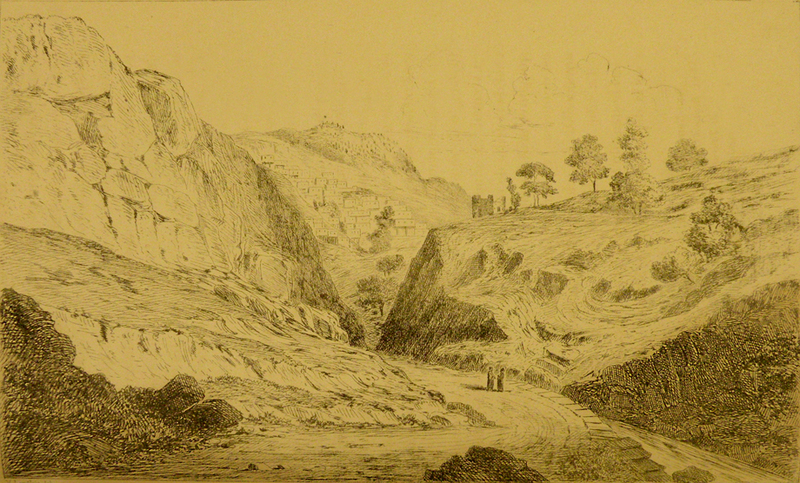 The Tagharanots (from the Armenian taghar (earthen vessel), in which animal hides were washed) was located on the eastern side of the town along the banks of the Krded River. This trade appears to have been the best organized. The entire tagharanots was made up of 25-30 smaller trade huts and earthen vessels, where the hides, after shearing, cleaning and currying, were turned into leather for a variety of applications. 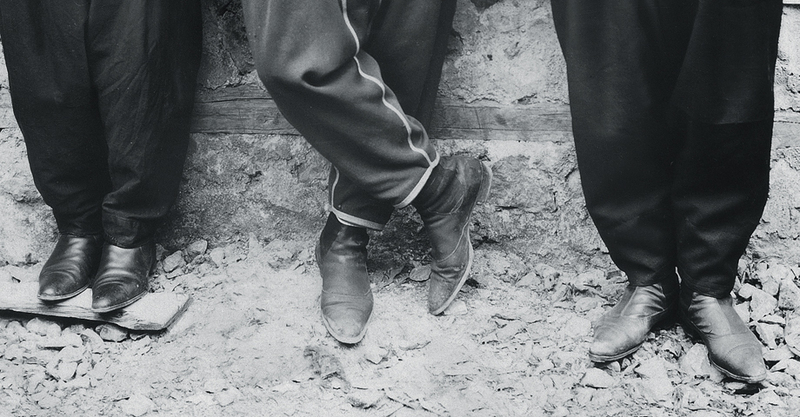 The soft and delicate leather was used to make women’s shoes, boots, slippers and galoshes. The rough leather was used for men’s footwear (shoes, boots), for saddles and bridles, and to produce leather parts for horse riding and household items. After meeting local demand, Hadjin leather-makers sent some of the excess to adjacent towns. From ancient times, all artisans were members of one esnaf (Turkish for guild/corporation) governed by a higher authority. The esnaf sponsored all the tradespeople. Looking at some information about this body, I can say it was a very well organized independent association that united all master leather-makers, their assistants and students. As in other Asia Minor towns, manisa was widely used in making clothing and was an obligatory part of Hadjin traditional attire of the day both for men and women. The antari, (a robe opening in front, of silk or figured calico, reaching a little below the knee and fastened round the waist by a sash passing twice round the body) was an essential part of the traditional dress for men, was made from black or red manisa. Women wore undergarments from multi-colored manisa. Other families also worked at the trade in Hadjin, but the scarcity of raw material and unfavorable conditions for its sale and export limited further growth of the trade. 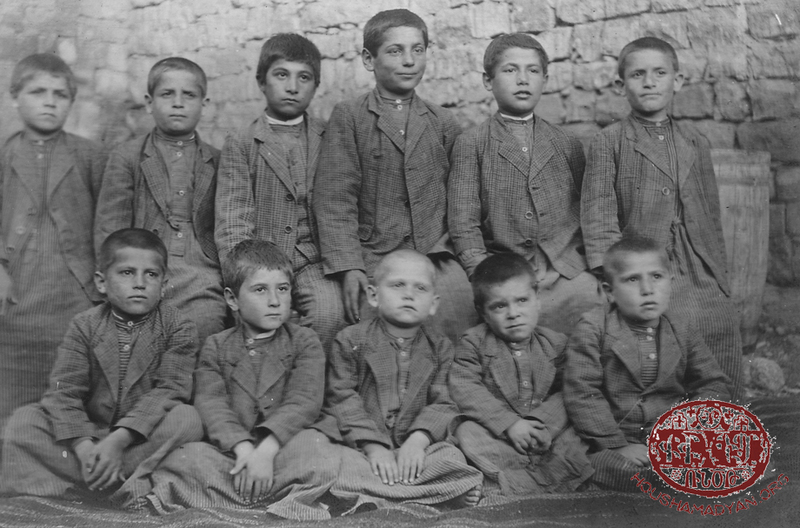 Immediately after the Hamidian massacres of 1895, the American Board of Commissioners for Foreign Missions (an American Protestant missionary organization) sent missionary John Martin to Hadjin to support local Armenians. Through the auspices of the consulate of Great Britain in Adana, Martin reached out to British benevolent organizations and with the financial assistance they sent he contracted the construction of two huge buildings on a huge tract of land he purchased in the eastern section of Hadjin. 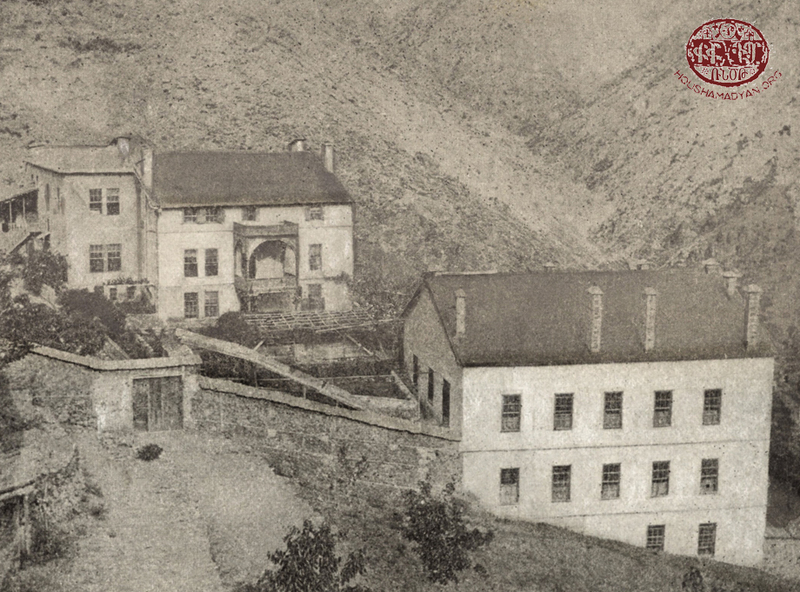 The building on the lower stretch was allocated for the production of manisa, and a portion of the upper building was used for furniture and carpet making. Interestingly, after researching the possibilities for the production of manisa, he opens a workshop – Manisakhan. He invites master tradesmen from Marash to put the shop on a solid footing and in a short time the business takes off. (One of the tradesmen mentioned is Asdour Marashlian). He turns over running of the furniture making unit to Toros Saghdansaghian. In his memoir, Martin refers to interesting details about these workshops, also mentioning that products from these workshops were sent in packages to the United States and to England . The salwar is a pair of loose, pleated trousers, made of cotton or wool. After spinning the wool and dying the yarn black, they would weave the salwar model and later cut out and sew the salwar. Traditionally, they would wear the salwar with a thick woven belt; the belt would be tied around the waist and would have wide plaits. There was great demand for the salwar in the market because it was part of one's daily attire. There were salwar weaving masters in Hadjin, who besides selling their products in Hadjin and in neighboring villages, would also send them to Marash, Kilis, Ayntab, Aleppo, Alexandrette (Iskenderun, present-day Hatay) and Adana, where they would be sold in the cities' markets. As such, we can conclude that salwar-making held an important place in Hadjin's trades. The Munushian brothers, Makhian, Ashrian, Ushukian, Eolmkesekian, Belian, Mangurian and Gharibian etc  masters were famous in the trade. These clothes belonged to Vartouhi Bahadourian (born Gyureghian). 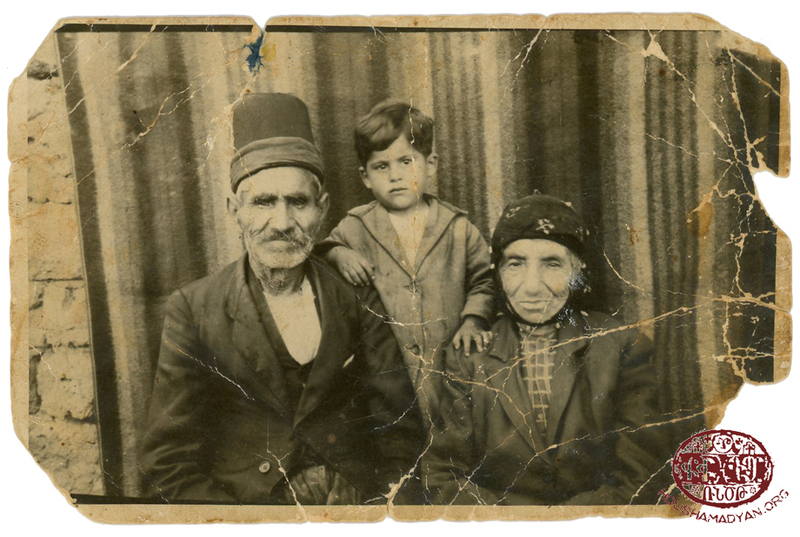 She was born in Hadjin, and in 1911 she married and moved to the town of Mala in the vicinity of the city of Selefke/Silifke. Her husband was Shnorhk Bahadourian, who was also from Hadjin. The dress in the middle is Vartouhi’s wedding dress. 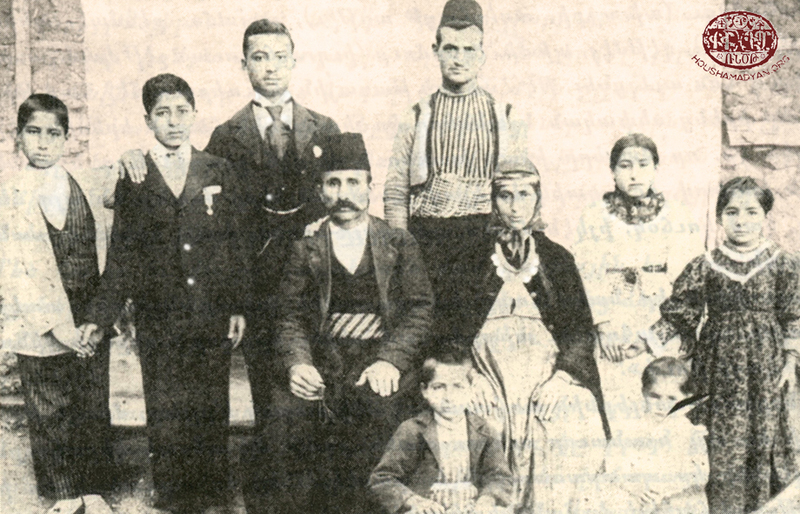 In 1922, the Bahadourian family members who survived the Genocide moved to Cyprus. These materials are currently in the possession of Vartouhi’s granddaughter, Shnorhig Bahadourian-Altoun in Istanbul. It is said that even in more recent times, when clothes sewn by hand slowly gave way to machine-made items, the men folk of Hadjin still preferred to wear woolen socks spun by their mothers and sisters. Of interest is that Hadjin never had its unique needlework decoration style that is to be found in other Armenian centers and towns. However, like weaving, spinning, cotton cloth manufacture and other traditional trades, needlework took off, on the one hand, due to the difficult living conditions in Hadjin and, on the other, due to outside influences. With the passage of time, under the impact of that being manufactured in adjacent towns (Marash, Ayntab), Hadjin also started to make a variety of Armenian needlework and lace making items, even surpassing that being made by the original masters. After the 1895 Hamidian massacres, missionaries arriving in Hadjin from the West spurred Armenian needlework, sending local and items produced elsewhere throughout the world and selling it in European and American markets. 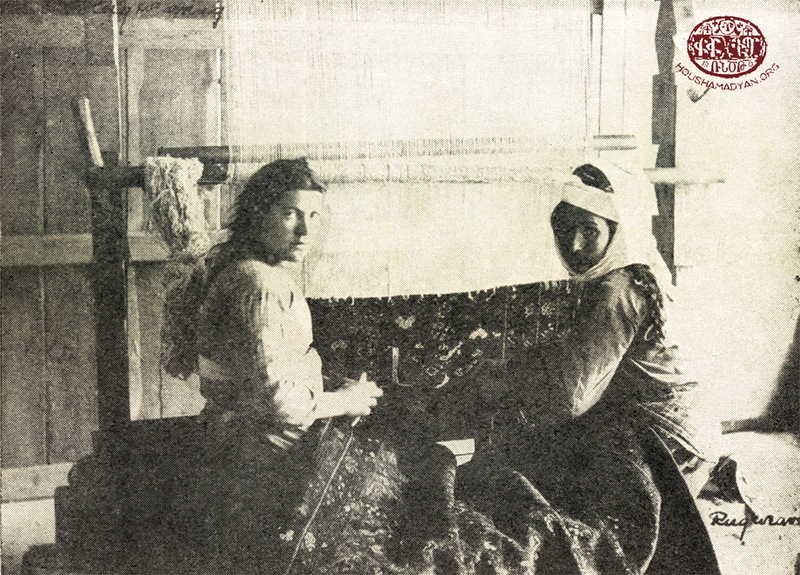 One of the first initiatives to spur needlework in Hadjin was the artisan shop of Garabed Keshishian. It is said that when Keshishian worked as a teacher at Ayntab Central College he familiarized himself with the benefits of the flourishing trade of zarifeh needlework and decided to bring the bring it to Hadjin. 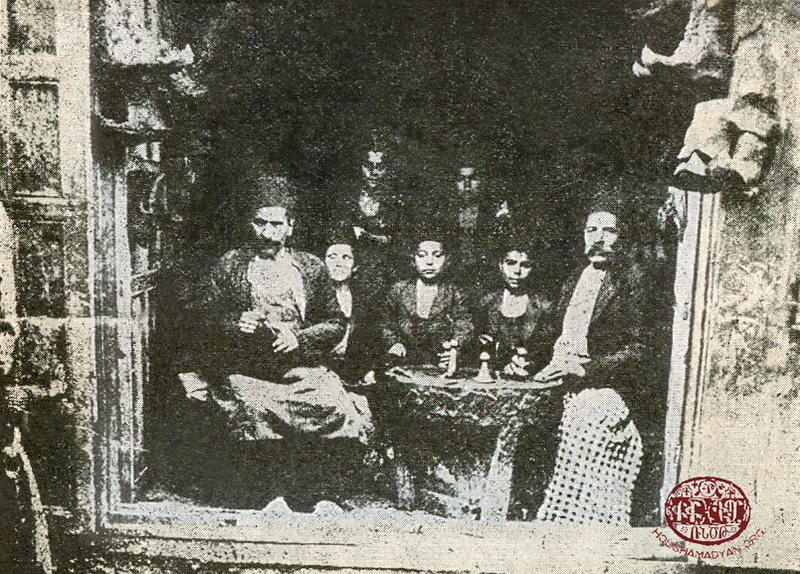 In 1909 Keshishian invited a skilled teacher from Ayntab and opened an artisan shop in the large house of his father Hagop. It was John Martin who made the first foray into rug making in Hadjin in 1898 when he sent for a designer named Levon from Sivas/Sepastia. He also hired Kurdish women to learn who to dye and spin the material. This enterprise didn’t last long. Felt making held a special place in Hadjin trades, both in terms of employment and profitability. This prominence was due to the usage of felt hats. 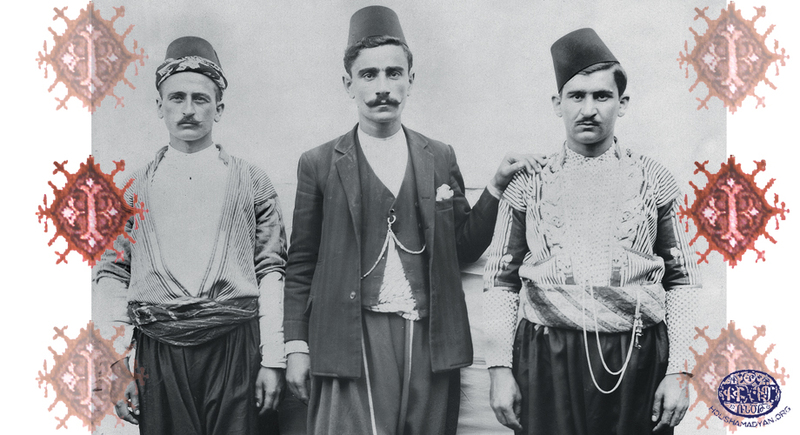 For a segment of Hadjin Armenians, but especially for Turks from the neighboring villages, wearing a kiulah was an essential part of daily attire. A widely practiced trade in Hadjin, master pewter makers would make the rounds of rural areas in the summer meeting the needs of the local populace. Copper cups from Hadjin. These belonged to the Kalaydjian family who were originally from Hadjin. They are currently in the possession of the Kalaydjian family household in Buenos Aires. The Turks of Marash had highly developed this trade and it was transferred from there to Hadjin. It is said that a Turk named Ahmed Agha taught the trade to Pilibos Divirian from Hadjin, who in turn taught it to others. In time, this trade took its place alongside others in Hadjin. 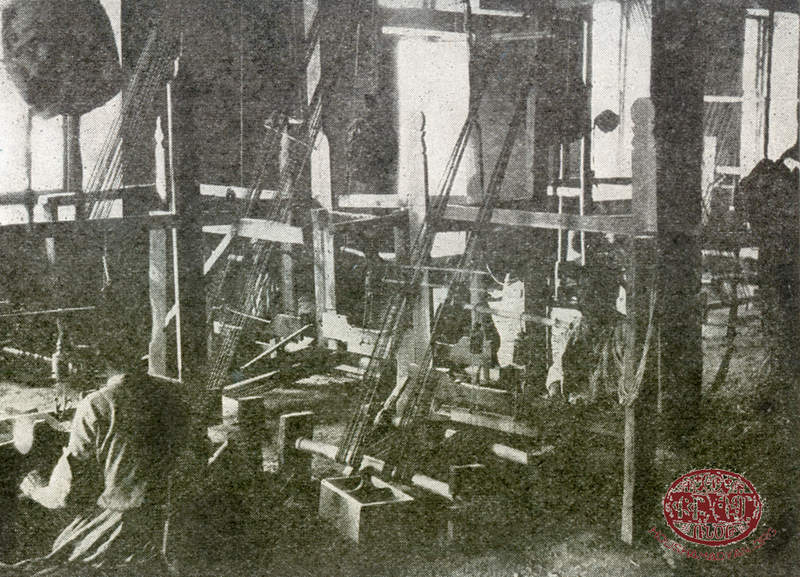 Woodworking was always a driving force of Hadjin’s economy. 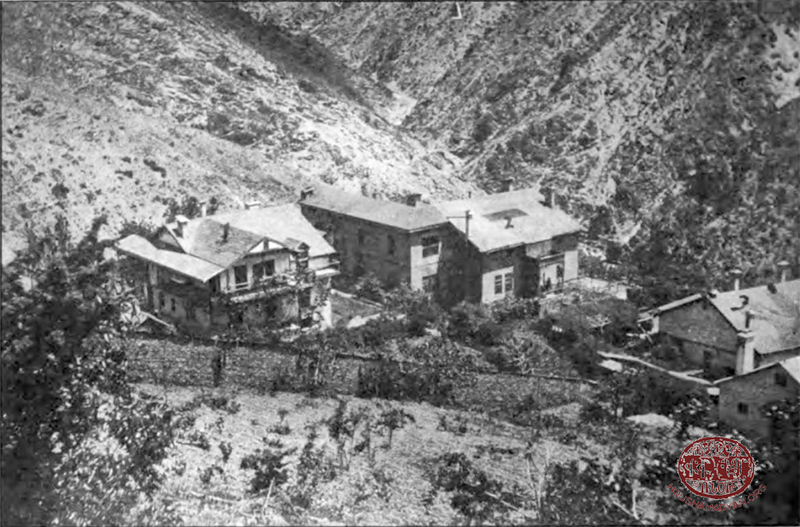 The town was surrounded on almost all sides by lush and verdant forests. These huge forests were probably the only richness in the area. 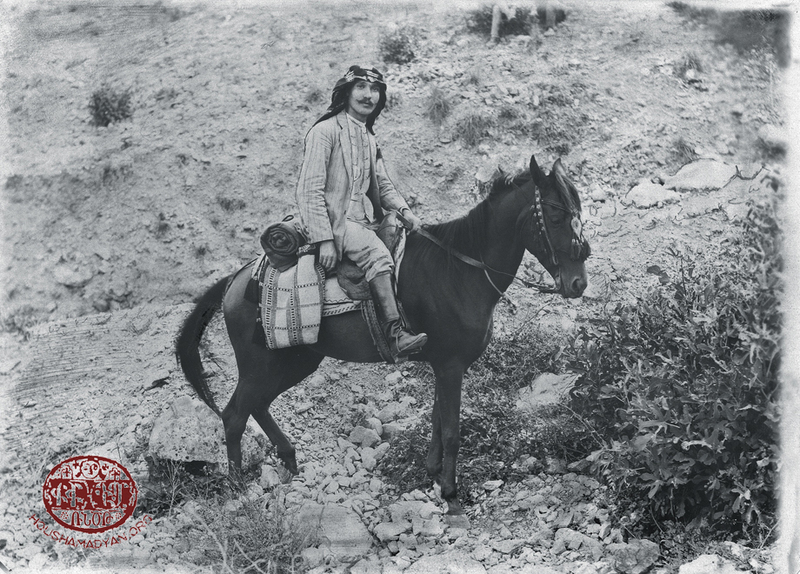 Close to the town of Hadjin was the Karachamluk forest, the pride of the region and a constant source of prosperity for Hadjin Armenians. This forest was also a source of revenue for a number of Hadjin merchants who used large water-powered saws (khzar) to mill the trees felled there. This wood was used in Hadjin and also exported to their regions, especially Kayseri. Construction trades played a prominent role in Hadjin from ancient times. Local churches, schools, monasteries, residential homes and other structures were constructed by Hadjin master builders. These were mainly stone structures of high architectural value. All were built in the difficult topography of Hadjin. We can assume that Hadjin master builders utilized architectural and construction traditions of Cilicia; especially skills used to build on steep inclines. To the abovementioned trades, we must also note tailoring, shoemaking, furriers, and other related tradesmen. Bakeries and bakers comprised another trade in Hadjin as residents, by custom, did not buy their bread from the market. Families would make their own in the bakeries located in almost all sections of the town. There were around 10—120 bakeries in Hadjin and its environs. Families would take the flour, knead the dough, and bake bread, giving the baker a loaf or two per week as payment. There were three bakeries in town where bakers made bread for visitors and others. Hadjin women were well represented in the trade as bakers were usually orphaned or widowed women. H.B. Boghosian, General History of Hadjin and Adjacent Kozan-dagh Armenian Villages [in Armenian], Los Angeles, 1942, p. 169. See-Krikor Tatoulian’s Cherished Secrets, transcribed and edited by Haroutiun Sahagian, Beirut, Atlas printers, 1967, p. 118.